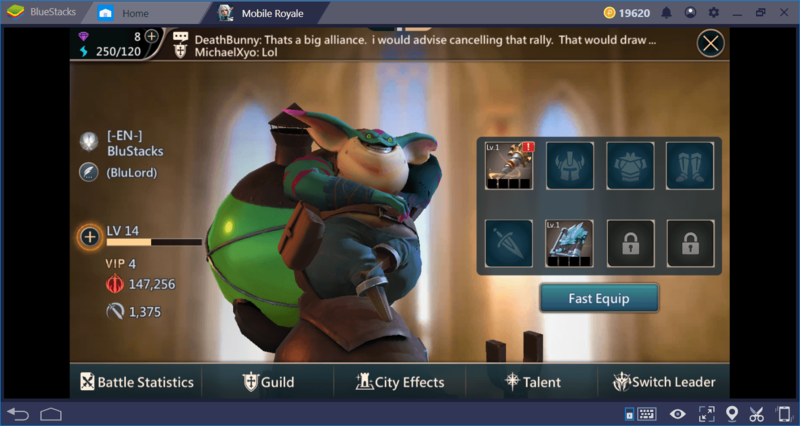 The city management, as in all other conquest games, is of great importance in Mobile Royale. You should construct all the buildings that are necessary for the production of resources, and make sure that your military power is increasing at the same time. You don’t have to do all of these on your own: You can get various bonuses using the heroes you’ll designate as the “governor” and make them more effective by using the equipment. In this guide, we’ll tell you how to do all of this: Get ready, we will build the mightiest kingdom these lands have ever seen. 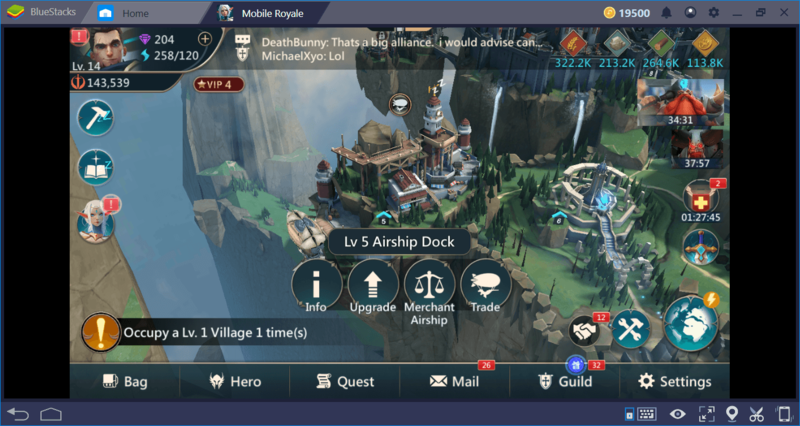 You may be used to constructing buildings multiple times in games like Rise of Civilizations and King of Avalon, but things are a little different in Mobile Royale. First of all, you only need to construct one of all production and trade buildings. So, you don’t have to construct ten lumber mills or twenty farms, for example: Just build one and upgrade them if you want to increase your production capacity. The space you can use for construction is already limited and you have to use the pre-determined areas for some buildings. For example, the Airship Dock, which you will use for trading, can only be built in one place. 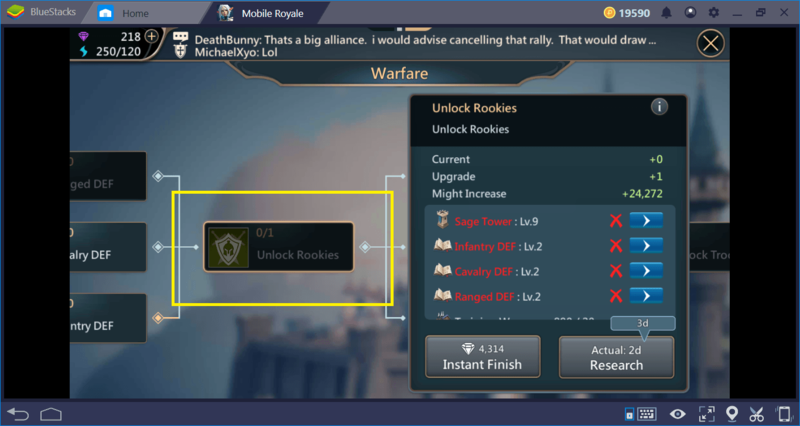 Another difference in Mobile Royale is that you still have to “unlock” the buildings, even if you have enough resources for construction. For example, if you want to build the Embassy, you must complete Chapter 2 missions first. In other words, building types and construction options are linked to your progress in campaign tasks: First, you need to reach a certain stage in the story. 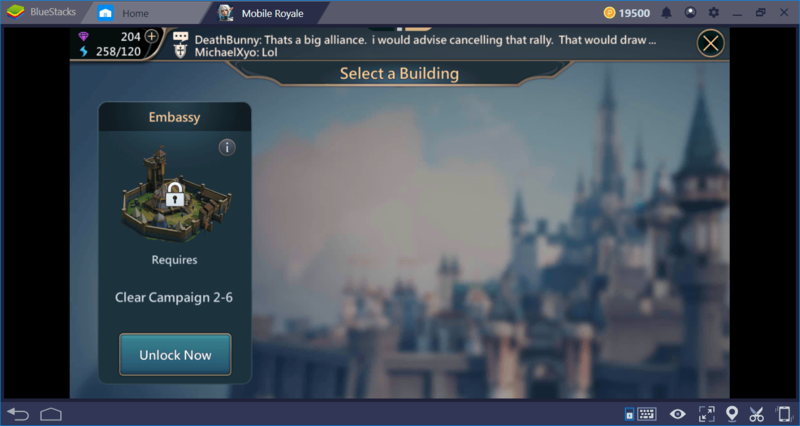 Since you can only construct one of each building and have to do it in a certain order, it is not possible to develop a strategy: Mobile Royale offers on-rails gameplay in this regard. However, we can talk about the benefits that your buildings provide for your city and determine which ones you need to upgrade first. 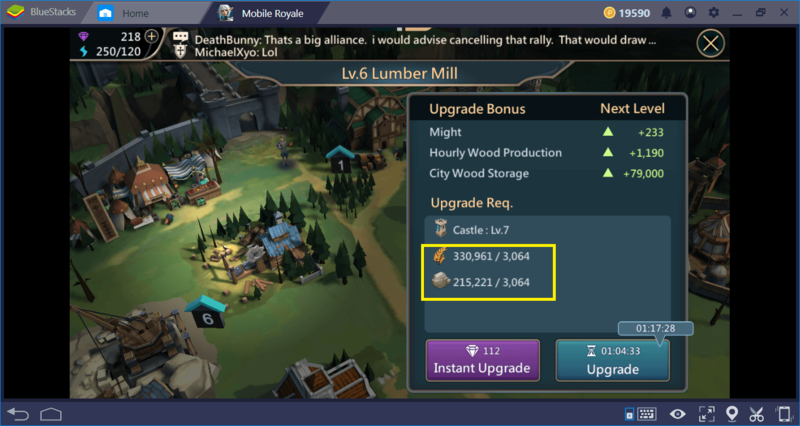 You can upgrade all buildings in Mobile Royale up to level 25. Note, however, that you need to complete research for some of the upgrade options. In the table below, you can see the most important buildings and their benefits and/or bonuses for your city. Note that the data in this table is prepared according to level 25 buildings. Resource production buildings should always be your first choice. Each upgrade requires an increasing amount of resources, and you can only get them from these buildings. Therefore, give priority to the lumber mill, quarry, manor, and farm. 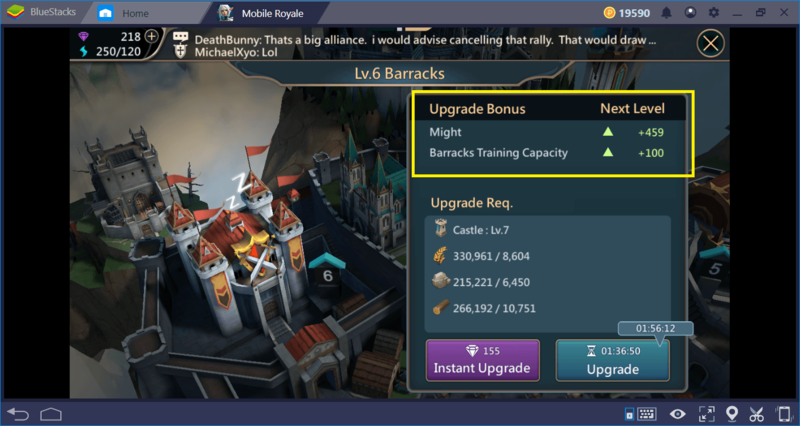 If you want to enter the mid-game phase with a powerful army, you should focus on Barracks. After collecting the required resources, continue to upgrade this building until you increase your training capacity by 1,000. However, do not forget to make research at the Sage Tower too: Advanced troop units can only be unlocked this way. 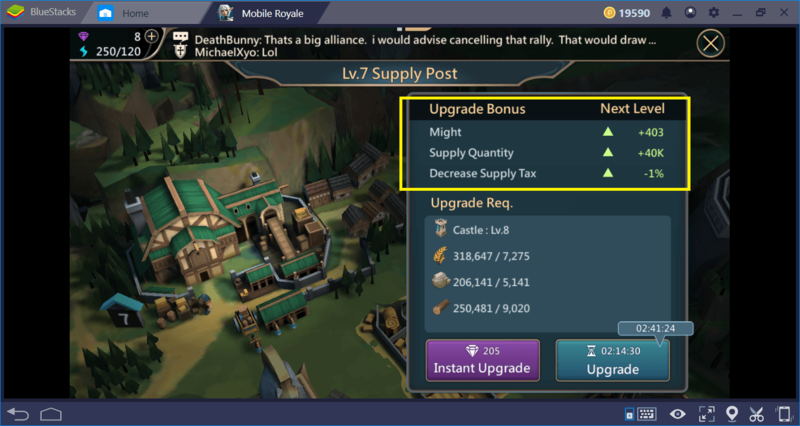 Supply Post, contrary to what you may think, is actually a very important building because, with every upgrade, you can request more resources from the guild members. If you are a member of a social guild, we recommend that you upgrade Supply Post to at least level 5. We mentioned the bonuses provided by heroes that are used for city administration in the Summoning Guide for Mobile Royale. Here, we will talk about how you can make them and their bonuses more powerful by using the equipment. The heroes have a total of eight equipment slots and you can place a different item on each one. Note, however, that you can only use the last two slots when you upgrade the Smith building to level 25. Until then, you have to settle for a total of 6 slots. 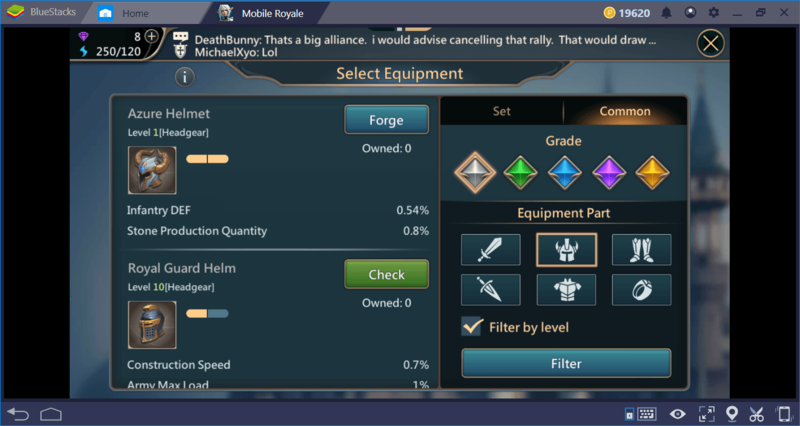 You can get the items you place in these equipment slots from campaign tasks and various activities, but this method will take a long time. Instead, you can try to produce them yourself: This is the purpose of the Smith building, after all. It allows you to produce various equipment that you can give to your heroes. 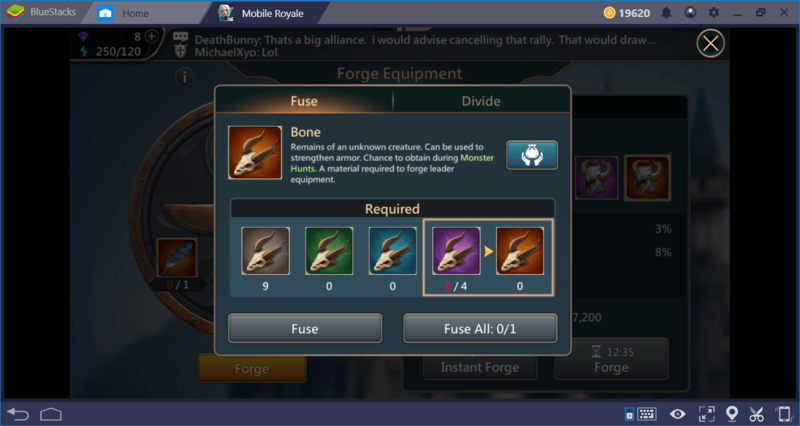 Start by clicking on an empty slot and select “forge now”. This is the screen to start production and you can see a list of equipment on the left. 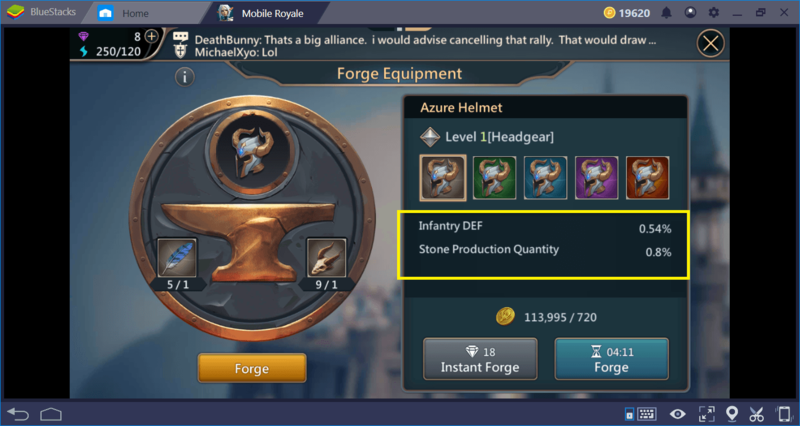 If a button says “forge”, this means you are ready to produce it. If it says “check”, you still need to collect some materials. The forge screen. Since this is a low-level item, the number of materials that need to be collected is quite a few and we are ready to produce it. On the right, you can see a list of bonuses we will get from this equipment. The same equipment, but its grade is much higher. We don’t have any of the materials needed, but if we manage to produce this equipment, the bonuses we get will be much higher. Click on them to find out where you can find the necessary materials. This screen says we can get our missing material from the “Monster Hunt” event. Unfortunately, this is based on luck, so not all monster hunt missions will award this material. We recommend that you always use the forge option to obtain equipment because you can target certain bonuses. In this way, you can give production bonuses to your governor hero and combat bonuses to your commander hero, for example. In other words, if you control the production phase, you also control the bonuses you get. 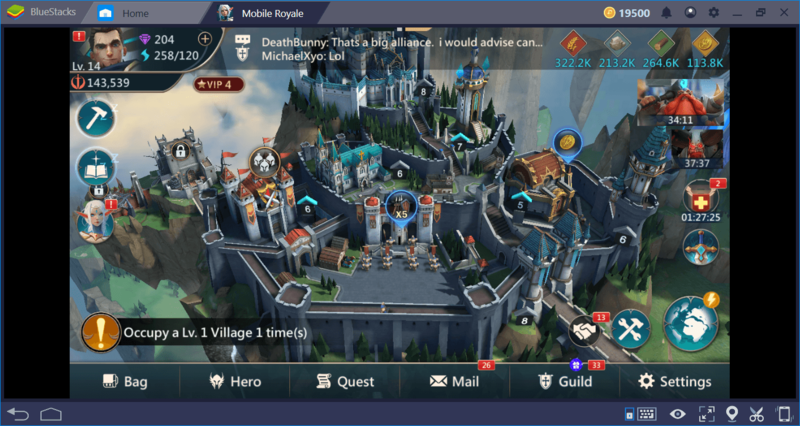 To further expand your kingdom and army, we recommend that you continue by reading our other Mobile Royale guides. In these guides, we have examined every feature of this complex game in detail to find useful tips for you. The more you know, the more successful you will be in this fantasy world. See you on the battlefield, my lord!